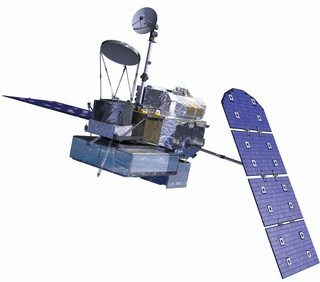 Why are the Global Precipitation Measurement (GPM) satellite's solar panels angled so strangely? 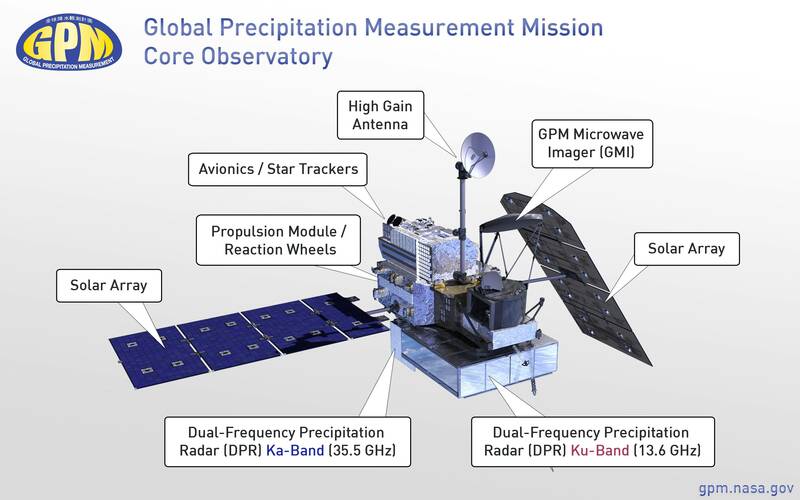 The Global Precipitation Measurement Mission (or GPM) spacecraft (1, 2) has two solar array panels. They extend from opposite sides and one is tilted with respect to the other. This is a slightly unusual arrangement. 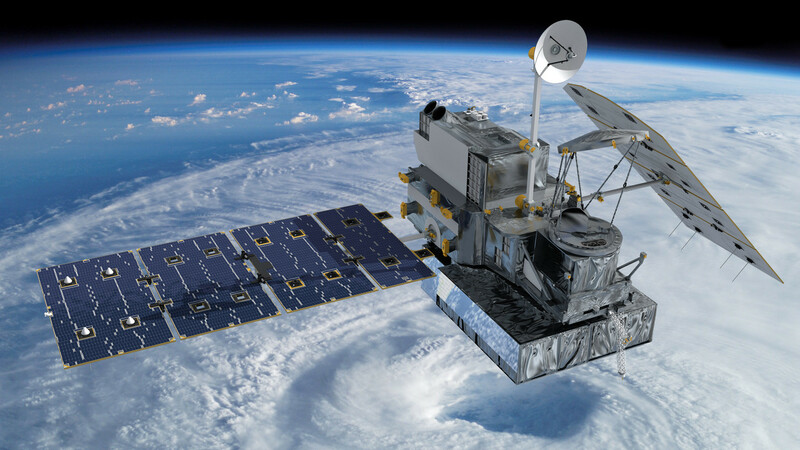 Why are they angled so differently, and are either, or both of these actively rotated with respect to the spacecraft to maximize power as the spacecraft rotates around the Earth? If so, do they rotate once completely for each orbit around the Earth? below: from here and here. Click for larger size. Because of the position of the booms, only the wing on the sunward side can be tilted to face the sun. The report on testing showed the panels at a different rotation and mentioned pitch and roll. There is no need for the wings rotate around the Y axis more than around 180 degrees (or so), as they can be rotated back to the starting position during the night portion of the orbit, which would allow the power and data connections to be far simpler. I assume the panels are articulated at their centre of mass to minimise the effect pointing the wing has on the spacecraft attitude, and to minimise the torque needed to move it. Not the answer you're looking for? Browse other questions tagged artificial-satellite solar-power earth-observation or ask your own question. How do Tom & Jerry (CANYVAL-X) measure their alignment with a distance source accurately? What are the tradeoffs of circularly unfurling solar panel over linearly deploying solar panels?